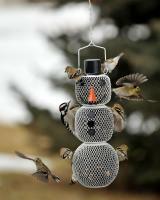 Give your backyard birds a beacon of light with the Deluxe Coach Lamp bird feeder from Artline. 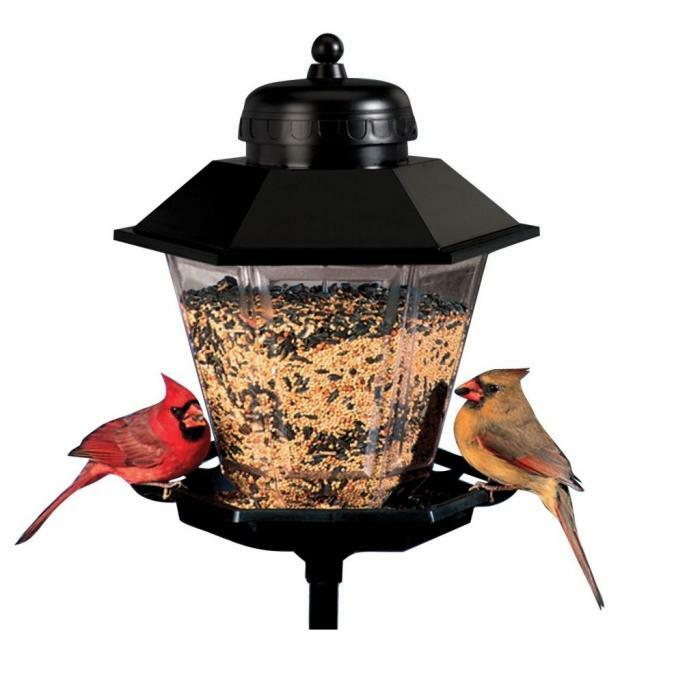 Designed to look like a classic lamppost, the feeder holds 11 pounds of seed and comes with a 6-foot steel mounting pole to keep the food high off the ground and away from squirrels. 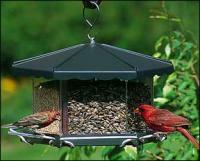 You can easily fill the feeder from the removable top, and the birds have access to the feeder via ports. 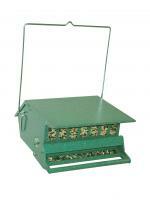 A built-in seed catcher also prevents the birds from making a mess. I like the height and lamp light style and I haven't installed it outside yet,as I'm in a hot climate, I will put it up soon as it gets cooler I'm sure the birds will love it.